At Dublin Electricians, we listen to our clients, our emergency electricians department was set up for all those electrical problems that just can't wait, at their request. We realized that a team of 24 hour emergency Dublin electricians is what all of our customers wanted as when an electrical emergency arose there seemed to be no one available to help. We operate 24/7-365 because of this, so whether it's a blown fuse board or an electrical fire we are on hand when you really need us. 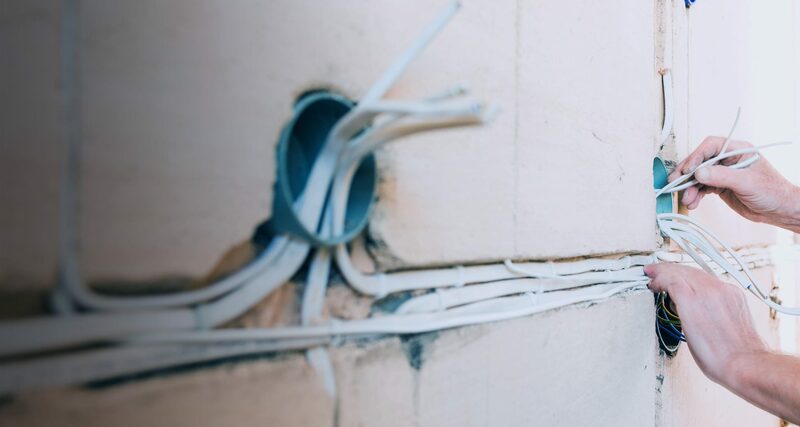 All of the staff within our 24 hour emergency electrician team are fully qualified, possess extensive experience and are up to date with all health and safety regulations. If you phone us we will initially attempt to assist you over the phone. It may be a simple solution that we can talk you through and we might not even need to visit you premises. Our team of emergency electricians cover the length and breadth of the county so whether you live on the north side or the south side we promise we can have one of the emergency electrical installers team at your doorstep within an hour of you calling (*Subject to active call demands); Read more to find out about our extremely affordable rates and more about us and our team at the following page. 10 reasons to choose Dublin Electricians. It is always hard to choose a contractor to do work at your home or business, this can be the same when picking a Dublin Electrician to complete your electrical project. We understand this more than anyone as we often hear it from new clients. We have therefore put together a 10 point checklist for you to consider when choosing an electrician around Dublin. We comply with all the government safety requirements, rules and regulations, with Dublin electricians you will always have peace of mind. If you don't decide to choose us this is your prerogative but please read on as this information gives relevant advice to the customer when choosing an electrician in Dublin. This can be invaluable when it comes to protecting yourself, your business or property against sub standard electrical work undertaken. For projects large or small we have the RECI team to take on all work irrelevant of the size. We are already approved as a Dublin electrical contractor for a large insurance company, social housing projects and some letting agents in Dublin. Our contractual obligations are always adhered to and our prices very reasonable. We fully guarantee all of our work and are comprehensively insured. Our team of electrical contractors are all highly skilled and extremely proficient when it comes to time management. We have a simple solution if we fall behind on a timescale for completion of a project, we will add extra Dublin electricians to our workforce. This means regardless of any glitches we will complete the project on time. If you require a team of electrical contractors in Dublin you can truly rely heavily on for hard work, reliability and craftsmanship of the highest quality, just ask for a quote. Read on to find what services our team of Dublin electrical contractors can provide. You don't need to worry about getting a reliable electrician in Dublin any more. Over the past 25 years our business has blossomed and even more so during the recession. People ask us why? and how? We know the main reasons, reliability and price. Some electrical companies and electricians are notoriously unreliable, we aren't. If we say we'll have an electrician on your doorstep within the hour for an emergency we will. If our team are working on a project for you they will be there on time and the job completed in the agreed time frame. In regards to our Emergency Electricians on call, we will always give our clients an exact as possible the trip to your doorstep will take. We can assure you that 95% of cases we arrive within the hour. For the other 5%, unfortunately traffic can be a problem for us but we do provide regular updates on progress and will definitely get to the property within one and a half hours. As for prices, our quotes are locked in and no hidden extras are added to the final bill. Read more about our reliability of our electricians and the way we work. That's what we are, the difference is our electricial team do more that it says on the tin. We take on all household electrical services at prices that you can afford. This could be fitting new lights, adding additional sockets, upgrading a fuse board, fire alarm testing and installation to a full house rewire. Have a look round where you can and compare but we are the only electricians in Dublin that we can find that advertise our prices clearly on our website. Read on to find out about our complete electrical services, our history and why we are regarded as industry leaders and trade experts. At https://dublin-electricians.ie, we are a one stop shop for all of your property maintenance needs. We don't just have RECI electricians in our team. We have R.G.I. plumbers, roofers, tilers, plasters, drain unblocking vans, painters and decorators, carpenters to name a few of our in house trades. We cater and provide general maintenance services to the households, small and large businesses and letting agents. We also deal with charitable organizations, some of who you may be aware such as Focus Ireland, Vincent De Paul, Aids trust and Respond social housing to name a few. We are always happy to provide free quotes for any size project you may have. Please read on to find out more about our mission statement, our complete range of services and the way we operate. We operate to the highest electrical standards in Ireland and are both fully qualified and fully insured to take on all types of domestic and commercial electrical jobs. We are also fully RECI qualified and can certify all large jobs to Irish electrical standards, codes and practices. We are local as we cover the whole of Dublin and surrounding areas. We have 5 electricians working for us at any one time and will do our best to have one with you when you need it most! We cover all aspects of electrical work; both for domestic and commercial clients. 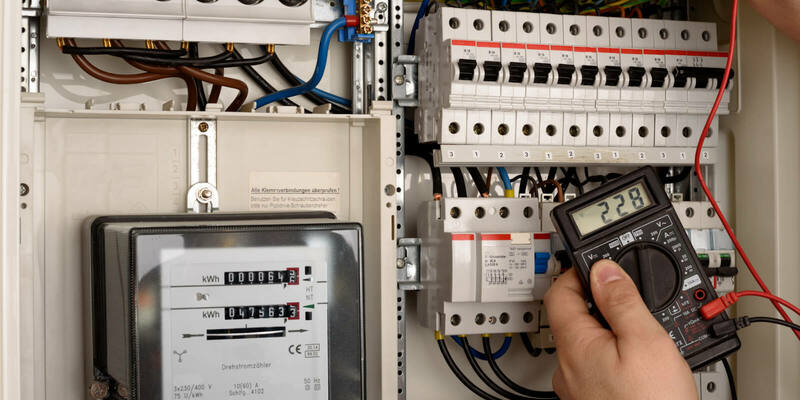 Some of the electrical services we offer include PAT Testing, house re wire, socket installation, periodical inspection certificates, electric shower installations, data points, new house re wire, fuse board upgrade/installations, house reconnections and all related services. How much is it to replace a fuse board? A replacement fuse board can range between €350 - €750, depending on the type of wiring within the house, house size and the addition of new sockets during the replacement. Old style fuse boards (with the screw in fuses) require updating to conform to Irish electrical standards. Insurance companies have also taken a stance on this with many now insisting on a modern fuse board should be in place before they can cover you. We recommend replacing your old fuse board with the latest model miniature circuit breaker (MCB) fuse boards, which are reliable, easy to maintain and easily reset safely at the flick of a switch.It is also important to check the current status of the fuse board if you are considering buying a property. The house itself may require a full re wire depending on age and can add a considerable amount to your purchase price to put it right. 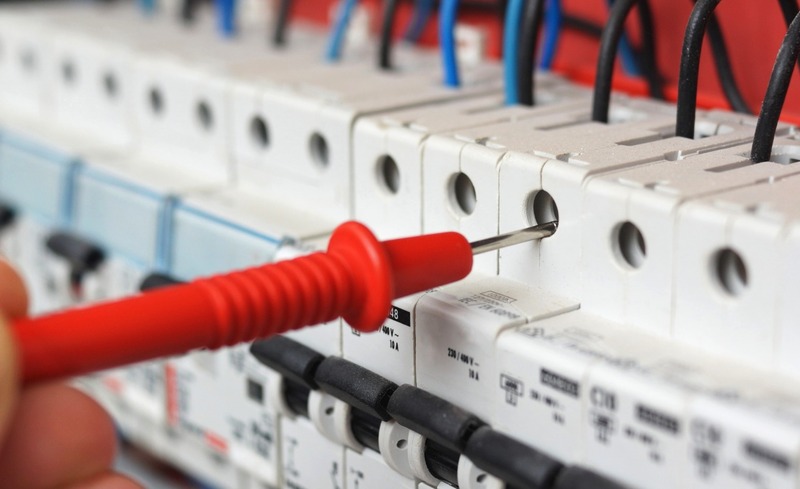 Our qualified electricians provide all niche electrical services including electrical fault finding, electrical installations, emergency lighting, fire alarms, fuse boards, house rewiring and P.A.T. testing to name but some. Dublin Electricians provide help where we can before we send out an electrician to your address. There are several things you can try safely yourself to attempt to address any electrical issues that you may be having and will be happy to assist you over the 'phone when you call. We pride ourselves in working with the best trade partners in the industry and all materials used are of the highest standards. For specialists in power flushing and central heating our friends at www.powerflushingdublin.com are R.G.I. plumbers who can assist with a full range of heating services. For all standard plumbing try www.plumbers-dublin.com . For bathroom renovations in Dublin go to their website. For any information you may require or free quotes just call us on 01-6874854. To see all trades from roofing to carpentry, tiling to carpentry visit our parent company Buckley property maintenance.